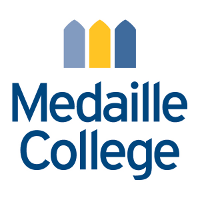 The Department of Science, Mathematics, and Technology at Medaille College invites applications for an Assistant Professor of the Practice in Chemistry. This position is scheduled to begin in August 2019. To be considered, applicants must hold a doctorate in Chemistry. The position requires both the qualifications and willingness to teach General and Organic Chemistry. Applicants must have a strong commitment to undergraduate education and the education of diverse populations in a small college setting, as well as the ability to work effectively with students and others in a collegial environment dedicated to student learning. The successful candidate will join existing faculty in providing laboratory and didactic teaching of students, as well as contributing to the scholarly mission of the College. Applications will be considered on a continuing basis until the position is filled. For questions regarding the position contact Dr. Vochita Mihai at vm72@medaille.edu.